"My Daddy’s Heart Belongs to Meeee!" narrates the profound and heartwarming bond between a father and son amidst the challenges of the father’s heart condition. Discover this heartwarming and touching short story about the love of a son to his father with Congestive Heart Failure. 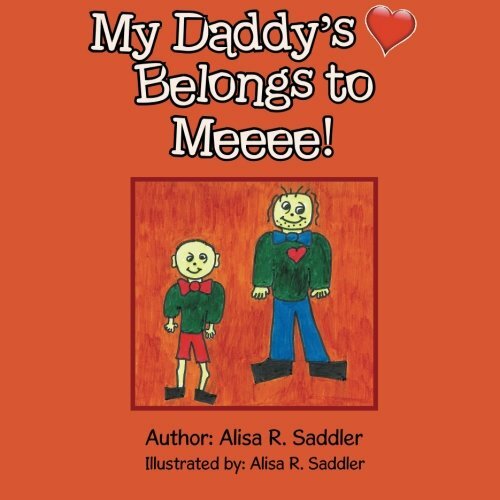 Taking inspiration from a little boy and his great love for his father who has congestive heart failure, Alisa R. Saddler crafts a touching story for young readers to discover. She aims to spread awareness about this condition to the youth in a way that they can understand. “My Daddy’s Heart Belongs to Meeee!” is a creative story that depicts a son’s love for his father who has Congestive Heart Failure. It comes with illustrations and symbolism that would appeal to young readers. As the story narrates the father and son’s activities, it stresses out how the son gives comfort to his Daddy and his heart during this challenging time. Most of all, “My Daddy’s Heart Belongs to Meeee!” emphasizes how different symbolism will show that the father’s heart will live in the son’s heart forever. Discover this heartwarming and touching short story as it joins the upcoming 2019 Los Angeles Times Festival of Books on April 13-14, 2019. This 2-day grand celebration will take place at the University of Southern California. It’s definitely worth checking out! My Daddy’s Heart Belongs to Meeee! Alisa R. Saddler holds a BA from Fontbonne University, in Saint Louis, Missouri. Alisa is a creative painter and an awesome designer. Alisa was a substitute teacher and currently works for Sunnyhill Inc. Sunnyhill accommodate children with education, give opportunities to children with developmental disabilities and support their dreams. A little boy inspired Alisa to write this book. Alisa physically observed the love between a father and his son. The father has Congestive Heart Failure. She wanted children to know that it is things to do with a father that has Congestive Heart Failure and educated children about Congestive Heart Failure through pictures that make sense to them because children don’t think like adults. Children have fantasies. The book stresses that Daddy’s heart belongs to the son and by saying that it can give comfort if the Daddy lives through Congestive Heart Failure or dies. The heart shape with a white arrow and a white cloud symbolizes the ownership of their Daddy’s heart that lives within the child’s heart forever.